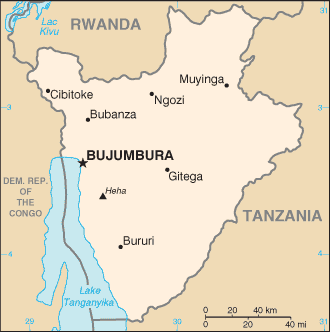 Burundi, officially the Republic of Burundi, is a landlocked country amid the African Great Lakes region where East and Central Africa converge. The capital is Gitega, having moved from Bujumbura in February 2019. The southwestern border is adjacent to Lake Tanganyika.